We are pleased to announced that the final release of gvSIG OA Digital Edition 2010, based on the upcoming gvSIG 1.10, is now available. 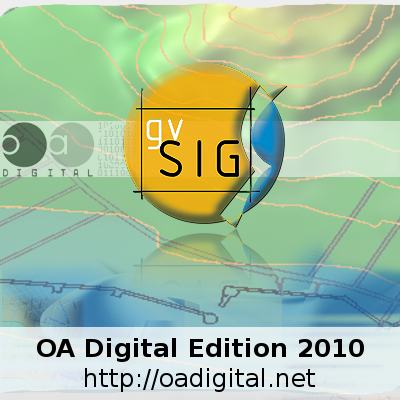 Go to the gvSIG OADE 2010 release page for downloads, documentation and support. This software represents nearly two years of commitment and investment in the gvSIG project by OA Digital. In recent years, the dynamics of open source GIS development have surpassed those in the more confined, proprietary world and gvSIG OADE 2010 is out to prove this to a wider user base. Check the list of features, download and enjoy!